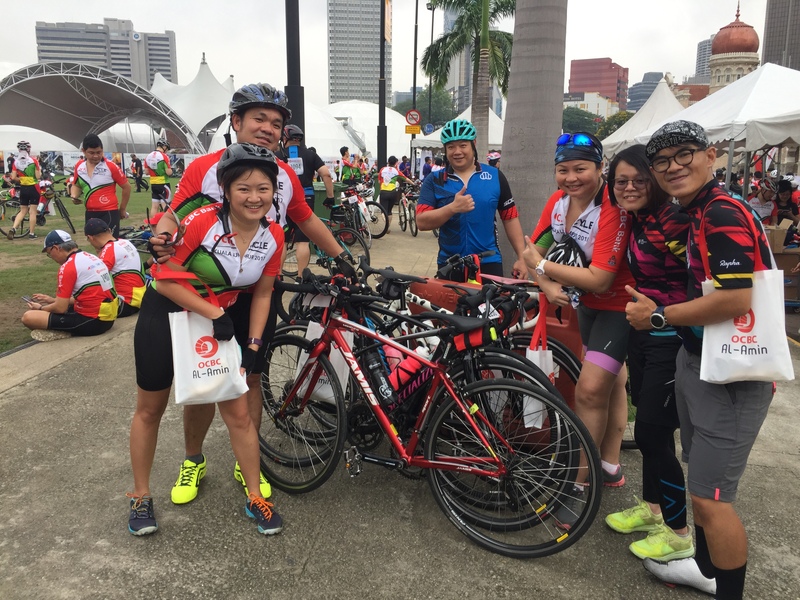 Writer Cristine Lee (3rd from right) at the OCBC Cycle KL 2017. 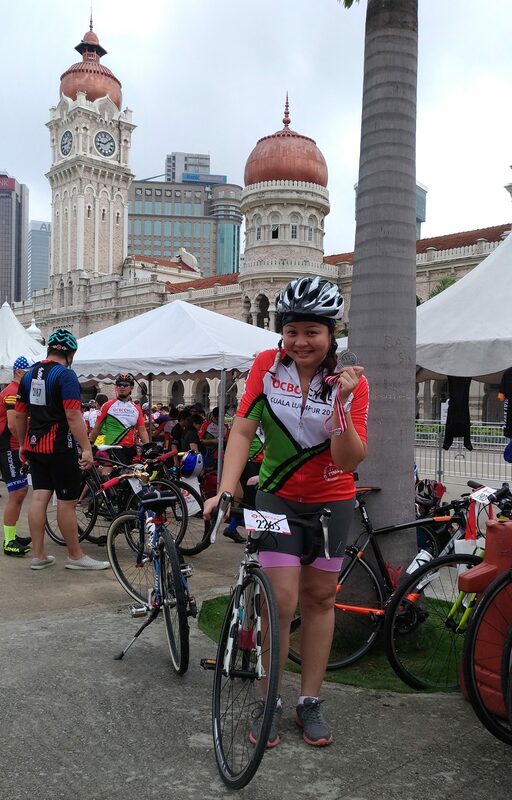 Initially, when I registered for the OCBC Cycle KL 2017, I was feeling a little nervous, anxious, and worried because it had been almost a year since I was last on the saddle of my road bike. Also, I had never ridden for distances further than 30km. 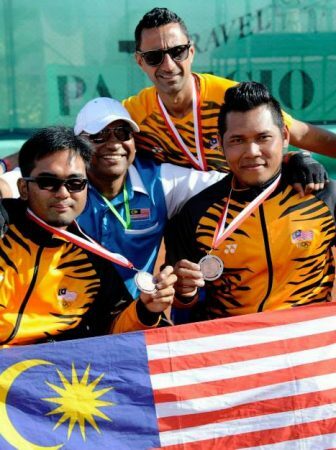 But my cyclist friends were all very supportive and encouraging and they urged me to go for it. 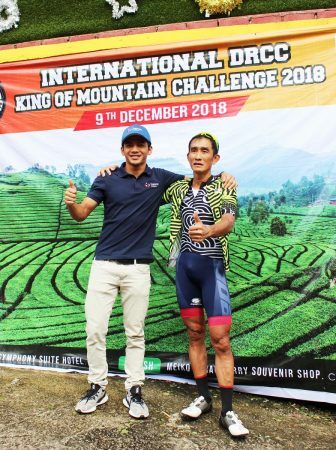 Upon arrival at the starting point on race day, I could feel the buzz of energy and excitement radiating from the crowd and that got me even more motivation to complete the challenge. As they say, you never forget how to ride a bicycle. 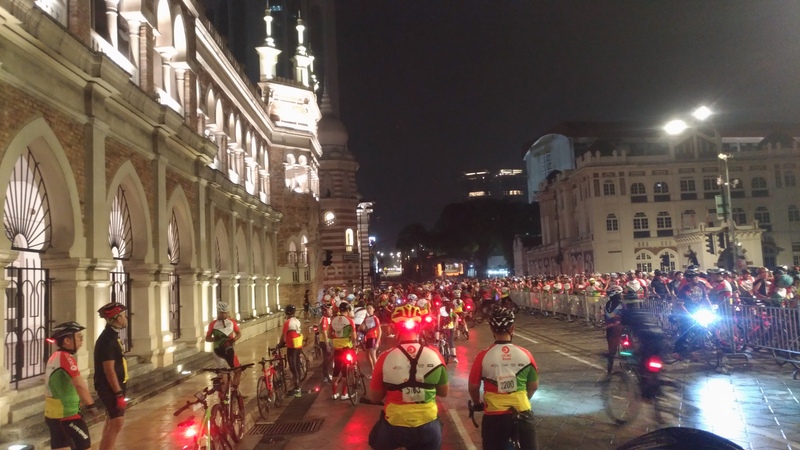 Starting the ride at the Sultan Abdul Samad building beside Merdeka Square. 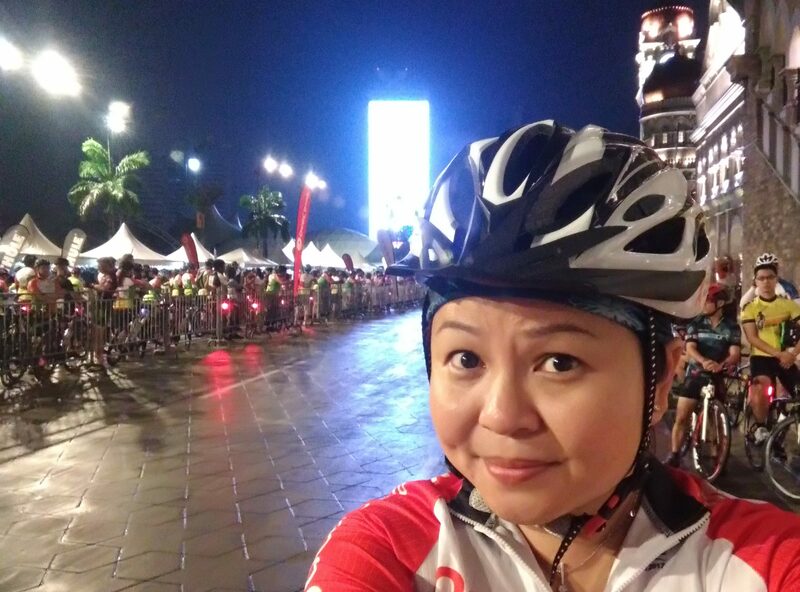 The overnight rain had stopped giving us perfect weather conditions to start the ride at Merdeka Square, right in front of the Sultan Abdul Samad building which was still beautifully lit as it was still dark. It was a pleasant ride as we got to enjoy the sights of KL city centre at the crack of dawn without any other vehicles on the roads. Alas, some parts of the ride were tougher than others as there were hills and slopes to be conquered. 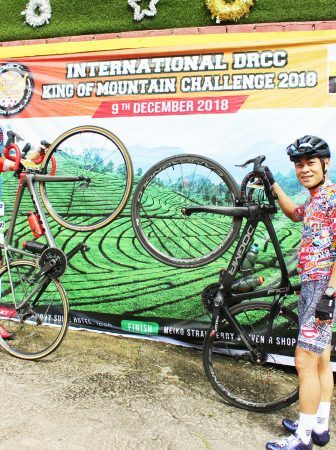 We rode around the city centre, passing many landmarks, such as the Petronas Twin Towers, National Mosque, National Palace, KTM Building, Bird Park, Butterfly Park, and Karyaneka, many of which I have not visited in many years. As we rode through the streets, I came to realise that there was indeed lush greenery in the middle of the city. 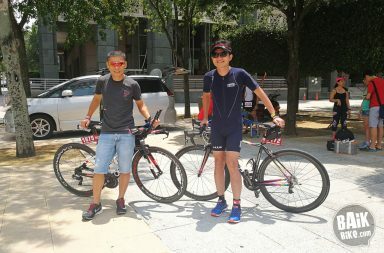 We stopped by the Kuala Lumpur cenotaph (near the National Monument) briefly to take some photos, as did many other riders that day. I think it was just an excuse for many to catch a breath after climbing the slope (laughs). Overall, the route was a well-planned one. 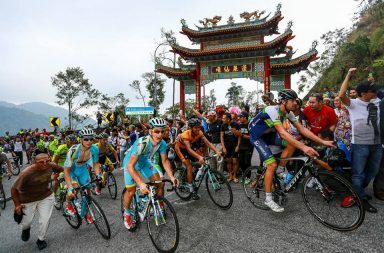 The only downside was that there were no clear demarcation for the slower cyclist, such that when the fast teams sped by from the back on their second loop, it was actually quite scary and dangerous. 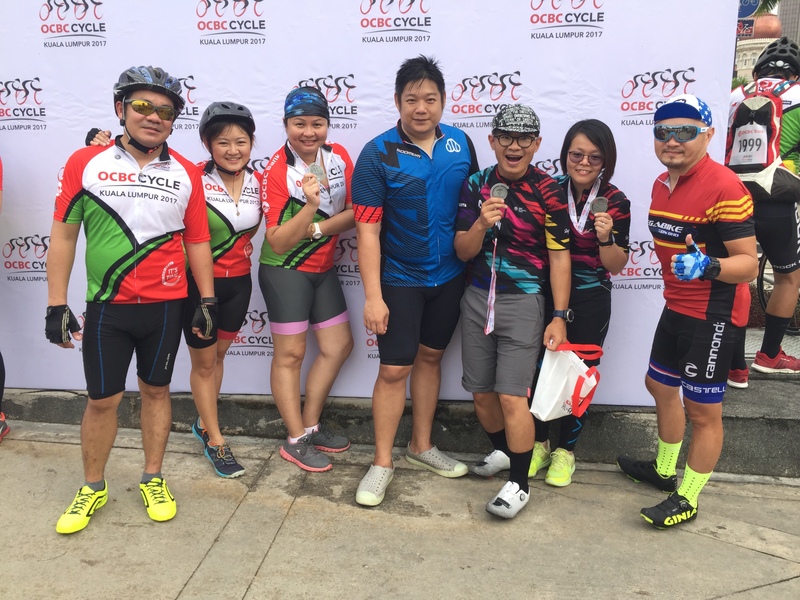 The OCBC Cycle KL indeed made for an enjoyable Sunday ride, meeting new friends and fellow cycling enthusiasts. 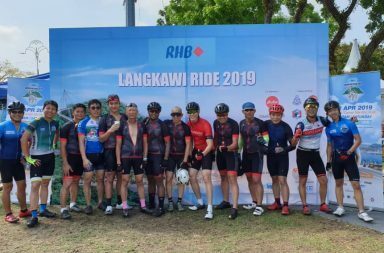 I am thankful and glad that my friends persuaded me to get back on the saddle and will be looking forward to more fun rides in the upcoming future. Cristine Lee is an avid scuba diver and underwater photography enthusiast. She enjoys the outdoors, nature and would trade in the hustle and bustle of city life to live on a island. 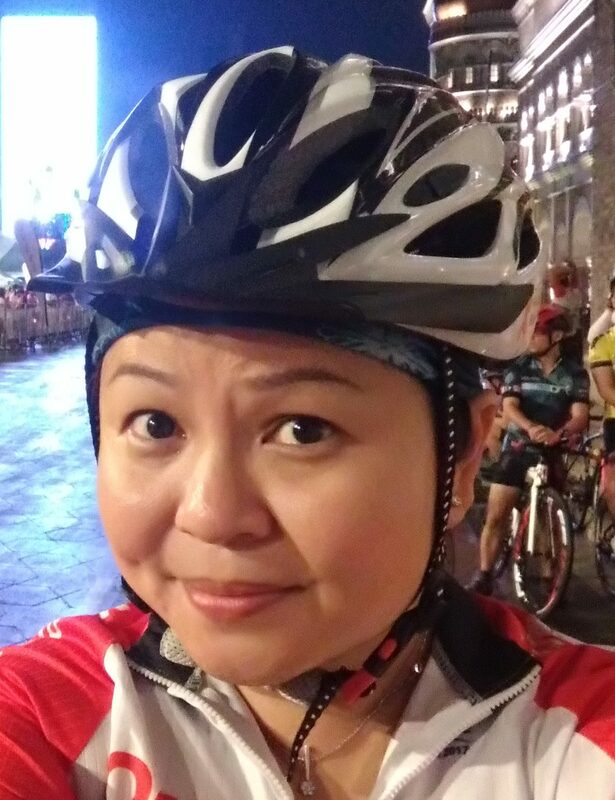 She recently started cycling again a year ago and is slowly trying to be more active.